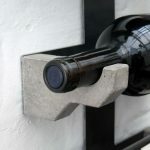 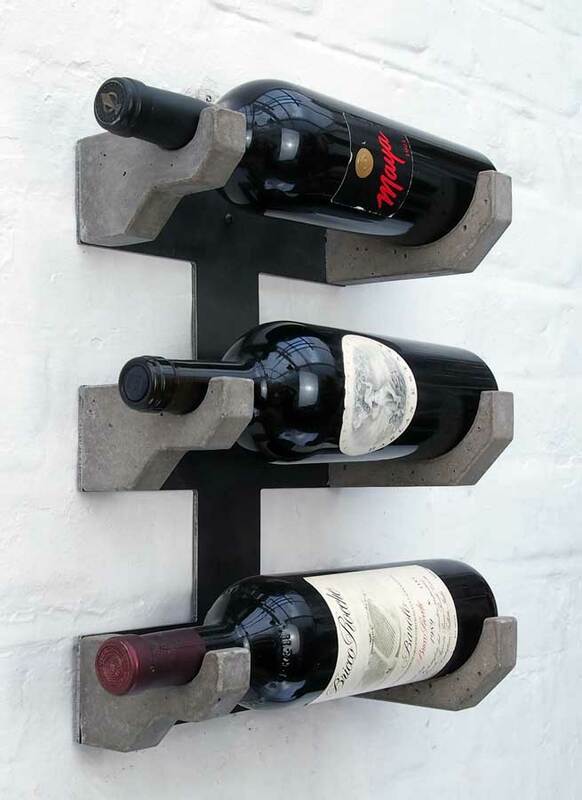 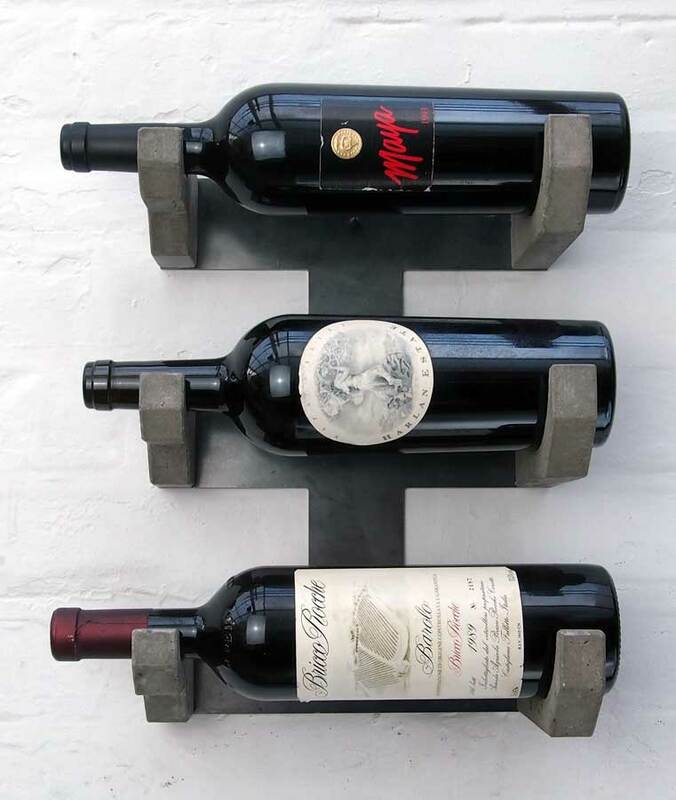 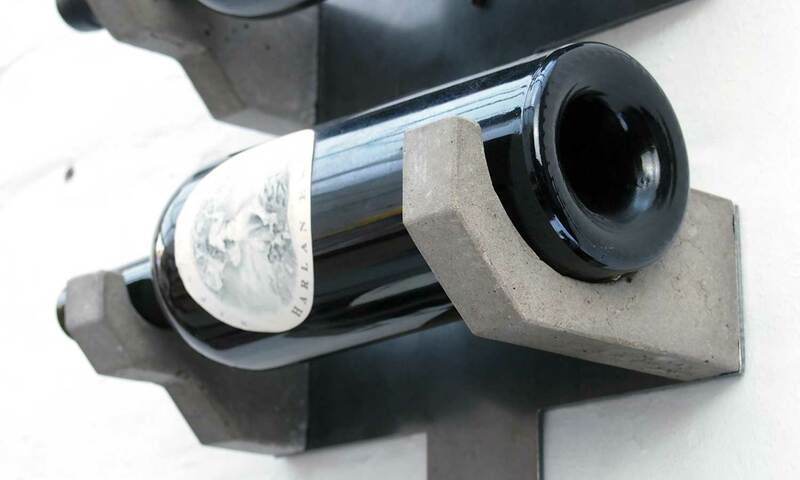 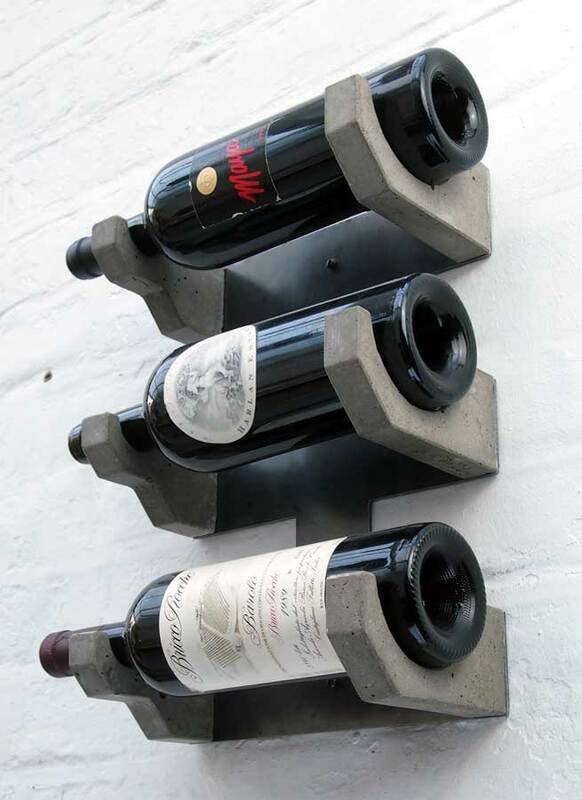 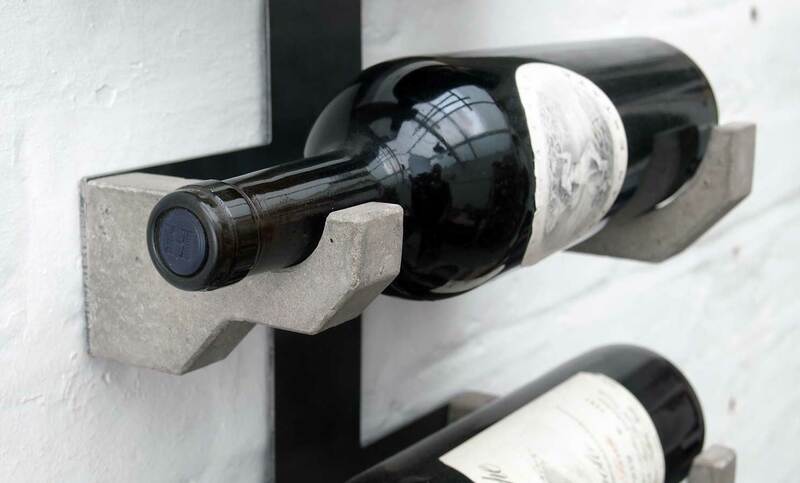 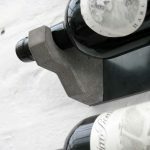 ‘The Grid’ Concrete and steel wall mounted wine rack consists of a laser cut hot rolled steel back plate with 6 individual cast concrete bottle support lugs. 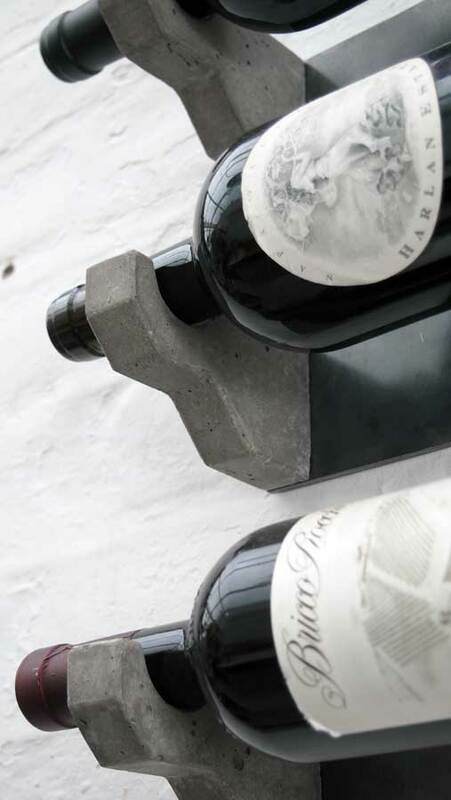 The supports are bolted to the backplate via threaded inserts that are cast into the rear of the lugs. 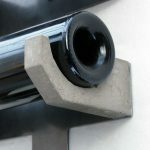 Steel wire reinforcement is also cast into the supports and polypropylene micro fibres are also added to the mix.